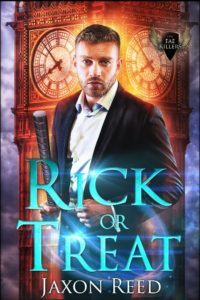 The third installment in the Fae Killers series is on the way next: Rick or Treat. In the first Fae Killers book, Tiff in Time, readers were introduced to Tyfainne, a little girl whose parents were killed in a Viking raid. The Walker, a man who travels among the many alternate universes, discovered her and took her “home” to raise her up. She becomes an excellent fae killer. The fae are creatures existing between the physical and spiritual realm. They are evil, and scattered among the alternates soon after the first, or original, earth (aka O-Earth) was created. The Walker and his recruits track down and take these guys out, though often not without difficulty. In the second book, Ghost of a Chance, we meet Nancy Chance, killed while working as a private investigator in New York City during World War II. 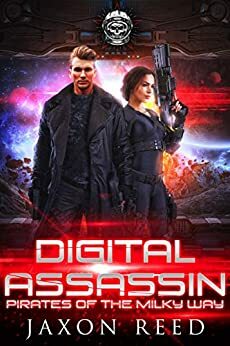 She receives the opportunity to go back to her own timeline and track down her murderer where she reunites with Rick Strickland, her old flame. 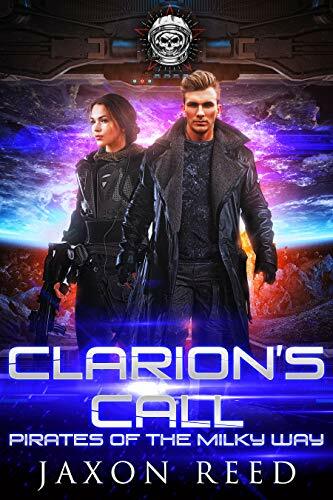 The next book in the series is coming out hopefully later this summer or early fall, depending on revision and editing. It follows Rick’s forced trip to a strange new world that has deviated quite a bit from O-Earth. In this world, World War II never happened, and the old European kingdoms are still largely intact. Nazi Germany exists, but has not yet stirred up too many conflicts. The American Revolution was quickly squashed, leaving the colonies east of the Mississippi in a largely agrarian state, completely dependent on the United Kingdom. Texas, on the other hand, has grown into a full-blown Republic west of the Mississippi, and captured most of the bravado and independent spirit the Americans on other alternates have. Into this milieu, Rick must try and stop the Nazis, avert war, take out the local fae, and hopefully find his way home again. The current story arc calls for five books in this series. Hope you enjoy it! I’m happy to announce my newest book Tiff in Time is available for pre-order for 99 cents. You can get it from Amazon, Barnes and Noble, Apple iTunes Store, or Google Play. 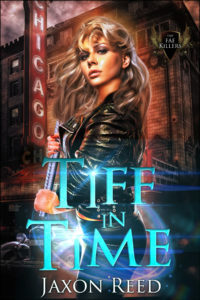 Tiff in Time is an urban fantasy, and kicks off The Fae Killers, who battle fae in different timelines on alternate Earths. In the beginning, God created people, angels, and fae. Creatures existing between the spiritual realm and the physical, fae scattered among parallel worlds spreading magic and chaos. The Walker hunts fae, killing them, bringing them to justice. On occasion, he recruits followers. He found Tiff, an orphan, and raised her to be one of his best hunters. A skilled killer, she jumps into any timeline on any alternate, and seeks her prey. A powerful artifact and a mysterious fae crop up in the Roaring Twenties, in Chicago. Tiff is on her way. But this time, after centuries of being hunted, the fae have other plans. . .
Hope you enjoy it! I’m already hard at work on its sequel.